Scarves, Oh how I love a good scarf! Any time its remotely cold outside my go-to fashion accessory is a scarf. I'll even wear them occasionally in the summer if it's not to gawd awful hot outside. With that all being said sometimes scarves can be way over priced, cause' lets face it a scarf is nothing more than a square cut piece of fabric. Their isn't much work that goes into them so why pay outlandish prices when you can make your very own at home with little to no skill or money. In recent years scarves have become more than an item of clothing to keep you warm, they've become a fashion statement all on their own. 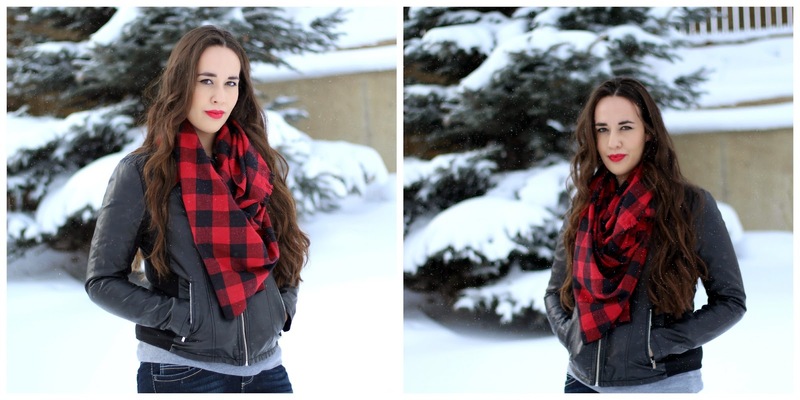 On fashion blogs, in magazines and boutiques you've seen the new "It" scarf, The "Blanket Scarf". You will find them all over the web and flooding your Instagram pages with women's OOTD posts. Some can be rather expensive or just so popular that they are always sold out. So that's where this post comes in handy, Why not make your own?!? All you'll need is a few basic things and some fabric. And best of all for those of you who don't sew, don't know how or just plain don't have the time this is the perfect scarf tutorial for you. Step 1: Start by measuring your fabric. If you bought exactly the amount you will be using their is no need for this step. I bought enough to make two, so I just split it in half and cut width wise which gave me to equal pieces of fabric that both measured out 2 1/2 yards. Step 2: Make sure your fabric is cut as even as you can get it. This way your fringe will all be the same length and in the end your scarf doesn't look lopsided. Step 3: Start to pull out your thread. You will do this by either a seam ripper which I like best or sticking a needle in between the threads and pulling lose. Do whichever works best for you. Step 4: Keep repeating this process all they way down the width of your scarf going row by row until you get the length of fringe you want. Do this to both ends. Do note: That you only do this on the two ends of the scarf not all the way around. You will not be able to get the affect on all four sides due to how the fabric is woven. Very easy and affordable way to get a new must have Winter fashion accessory. I seriously need a blanket scarf. I am never warm enough. I have a giant infinity scarf, but I want one I can drape over my shoulders (perhaps a blanket shall). Great post. I love how this looks on you. Thank you! 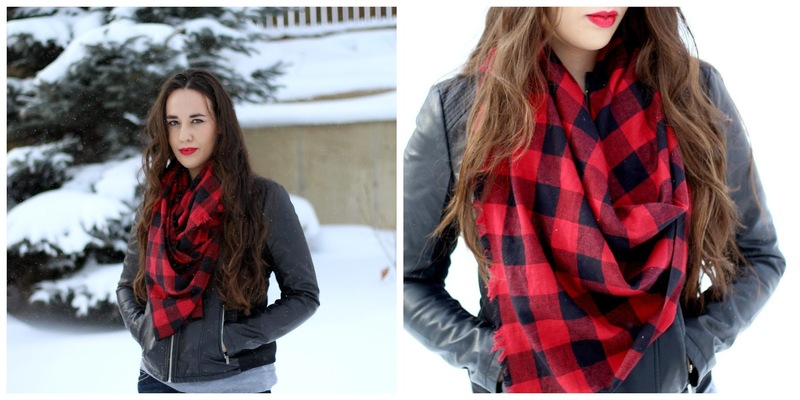 Blanket scarves are great for keeping you warm. I highly recommend ones made out of wool knit, you'll never be cold again. They keep you very warm.